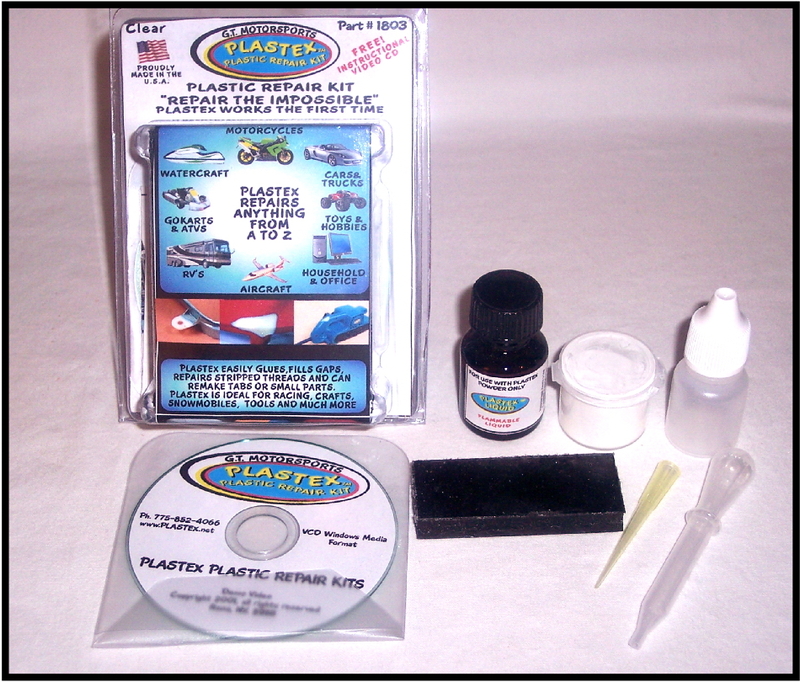 THIS PLASTEX KIT INCLUDES 5 GRAMS OF POWDER, 1 LIQUID, 1 APPLICATOR BOTTLE, 1 NEEDLE, 1 MOLDING BAR, 1 VIDEO CD. SMALL PLASTEX WHITE KIT. THIS KIT IS ENOUGH TO MAKE ONE SMALL TAB OR 3" CRACK REPAIR. GREAT FOR CARRYING WITH YOU ON THE ROAD. CLICK DROP DOWN MENU FOR AVAILABLE COLORS. 18308 RENO, NV. 89511 U.S.A.